You are a successful, good looking man – and you have no problem hooking up. Thing is, you are over it. You are over the Grindr meet ups, the Tinder swipe rights, and the whole party/bar scene. You’ve been to Musical Mondays a zillion times and have yet to meet the man of your dreams. In short, you’ve been there, done that. You are ready for a serious, committed relationship. And you are looking for a quality guy who shares the same values as you and you’d like to skip the guesswork of all the first date interview questions. That’s exactly what we can do for you. Imagine being paired with a relationship-oriented guy who actually shares your relationship goals and values. No more awkward, forced conversation. You’ll be matched with someone who truly is right for you, with honest feedback every step of the way. Plus, we anticipate and take care of everything for your introduction – from location to all scheduling details. You simply show up. We take care of the rest. All we ask is for 30 minutes of your time to personally meet you. This vetting and screening process allows us to assure a high level of compatibility for long-term success. If selected, meeting a client is complimentary. We work with extraordinarily successful gay men looking for committed, romantic relationships. And we only take on a limited number of clients to assure detailed, personalized attention. 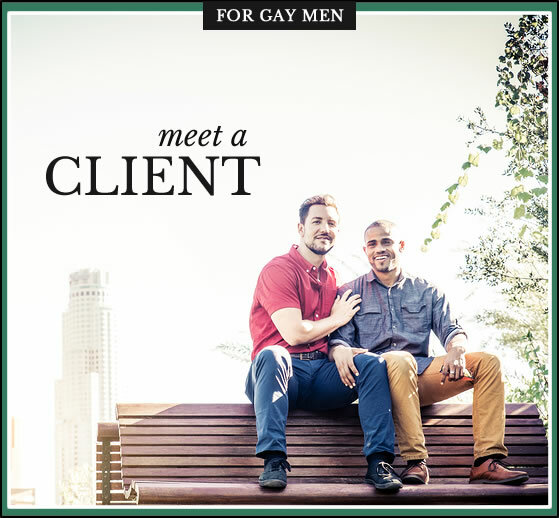 Here, at Lisa Clampitt Matchmaking, it’s our goal to empower gay men with a comfortable environment and personalized approach to find their perfect match.